About 3 or 4 weeks before the upcoming EDD of a client, I send out a message to ask them how they're feeling, what the doctor/midwife has been saying to them, etc. so that nothing really comes as a surprise to me. I also just like to keep up to date with them and chat because I'm excited, too! When Camille went into labor, I was ready, even though it was the middle of the night. 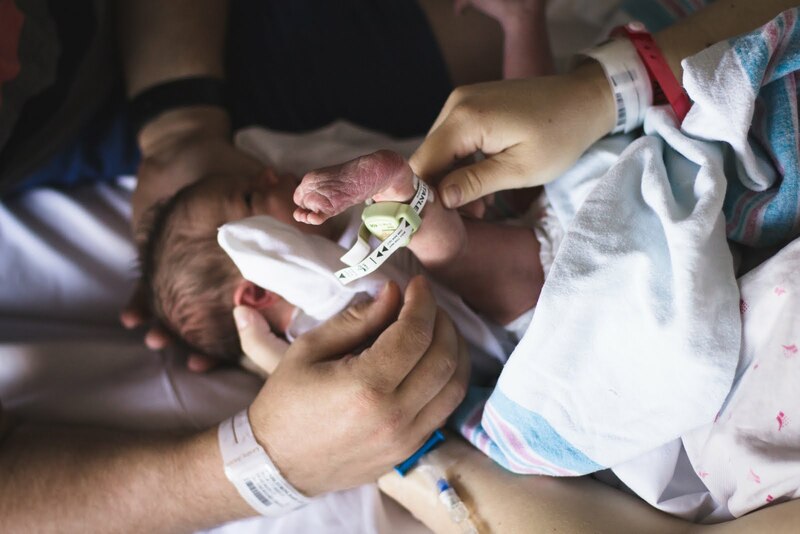 She had decided to get an epidural after some really painful contractions and was waiting patiently and cheerfully for their baby boy to be ready. 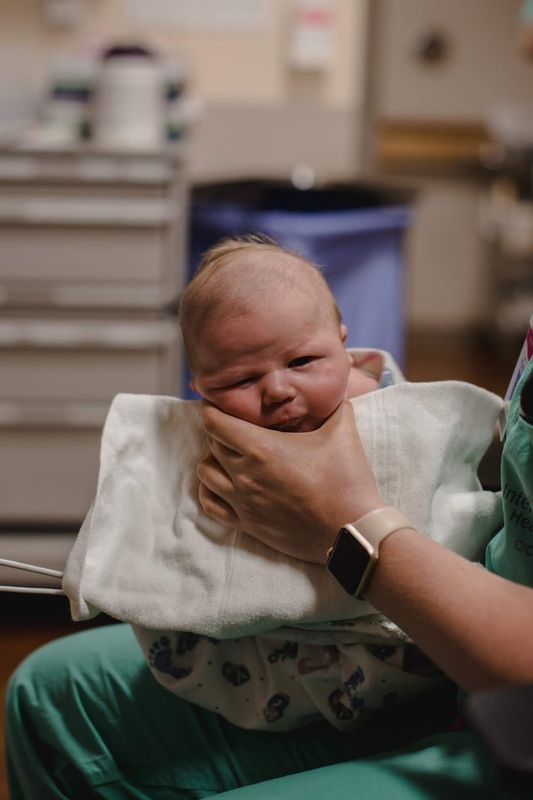 It wasn't too long before the nurses and doctor came to tell us that the baby wasn't doing as well as they thought he should and that he would need to be delivered via Cesarean. I watched Camille as she responded to this news, expecting tears, or some kind of nervous reaction and was surprised by complete calm and acceptance! Once the procedure was finished, Camille was brought back to her room, smiling and happy, while her new baby was kept in the nursery to be put on oxygen for a while. I imagined this would be a hard thing for Camille to have to wait for her baby, but was surprised again by her complete calm and patience! Finally, Baby Shawn was ready to be taken off oxygen and Camille was wheeled in a chair to the nursery to see him. The reunion was heart-melting. Later, I decided to ask Camille how she remained so calm throughout the entire process, with all of the twists and turns that her story took. She simply said, "I knew it was a possibility, and all I cared about was that Shawn and I were taken care of and safe."